Happy Tuesday! I am sure that we are all in the "Ugly Sweater" mode of the holiday spirit! I am about tapped out on Christmas as well as 2016! It has been a year with a lot personal gut punches. I am so excited to see what 2017 what is going to hold for me! Today on the Stamp Ink Paper Challenge we have a Winter Holiday challenge! I know not all of us celebrate Christmas... So I am sure all of you will enjoy this challenge! My Card started with a base of Crumb Cake cardstock. Then with a quick matte of Garden Green and layer of the Warmth & Cheer paper, I had the base of my ugly sweater! I used another piece of coordinating paper to make a fun border across the card with another matte of Garden Green. My Stitched Square is stamped using the Hardwood Background stamp and was layered onto a Layering Square in Garden Green. I embellished my square with some of the Warmth & Cheer Washi and some Gold Bakers Twine. It was the perfect foundation for my little Reindeer guy! Now Go! 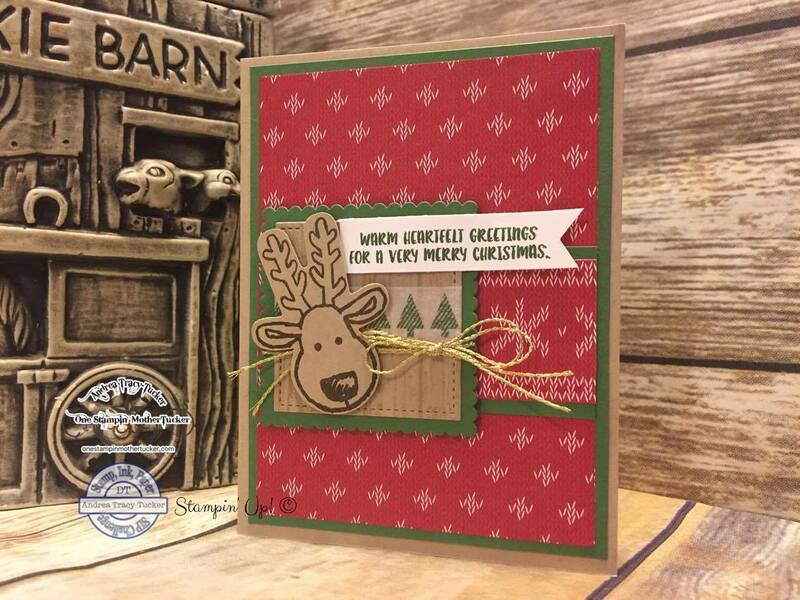 Make your Holiday Cards!